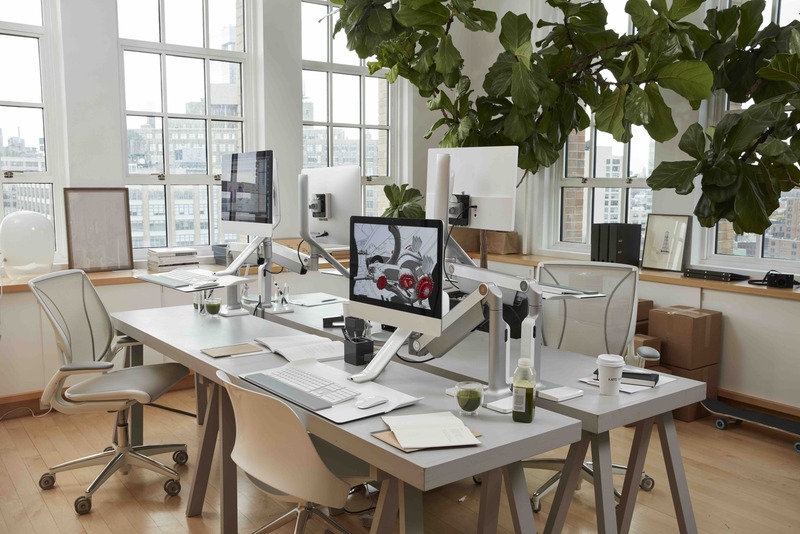 The QuickStand Lite is the latest ergonomic sit stand innovation from the forward thinking team at Humanscale. 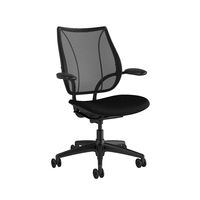 It carries many of the attributes you will see across the range of products from Humanscale. 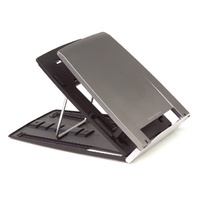 From its aesthetic design to its extreme ease of use, the QuickStand Lite is sure to modernise any office interior. 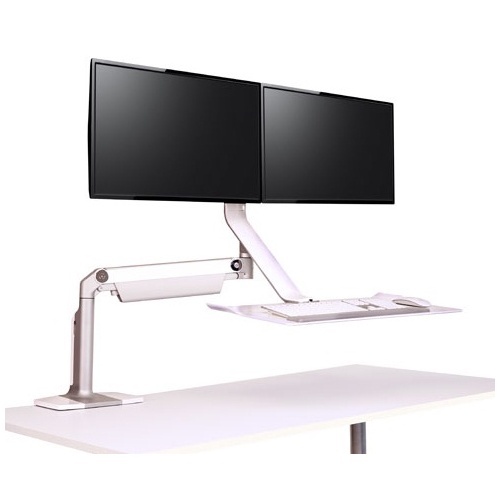 Un-like many other sit stand desktop units, the Quickstand Lite takes up a minimal amount of space on your desk, it attaches to the edge of your desk and floats over your work surface. 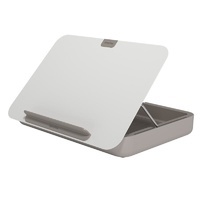 The keyboard tray provides exceptional stability and ample space for your keyboard, mouse and more. 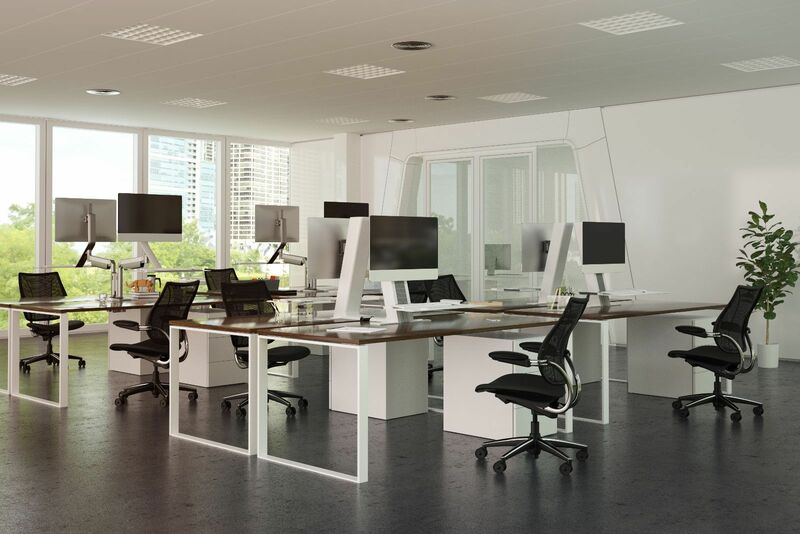 Integrated cable management maintains the aesthetic design principles and reduces clutter. The Tray provides 650mm of width. 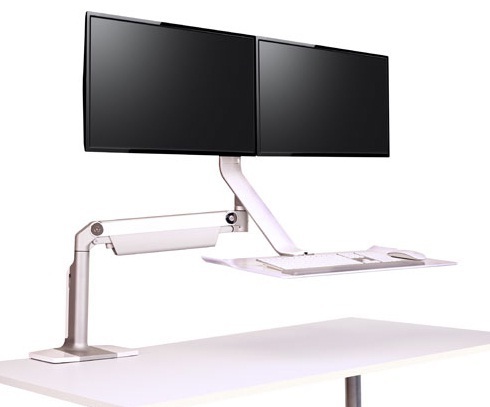 The Innovative counterbalance mechanism enables multiple users to swap between sitting and standing postions with extreme ease. 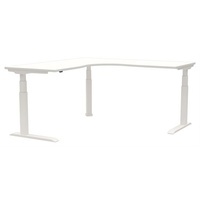 The QuickStand Lite is ideal for collaborative and/or hot desking work environments. 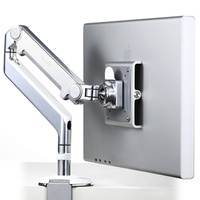 The unit offers 510mm of Height adjustment range with an additional 140mm of vertical monitor adustment. 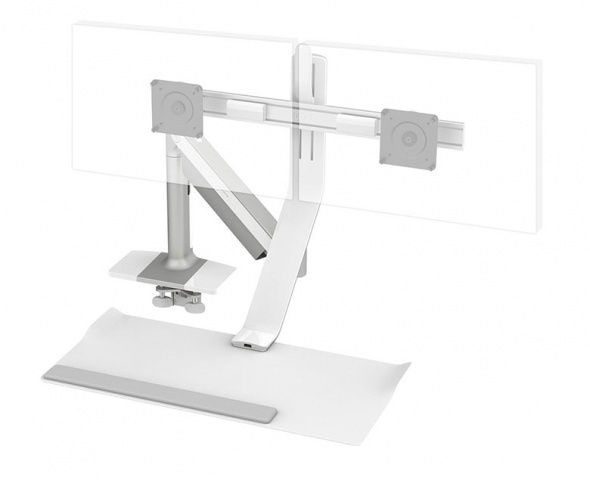 Supports single or dual monitors up to 11.3kg. It can easily be configured to single or dual with minimal tools and components. 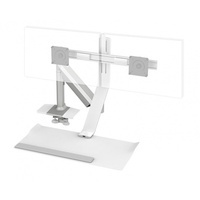 QuickStand Lite can be attached to any existing, fixed height desk. 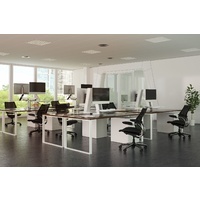 The minimal design and footprint frees up space, meaning it is perfect for corporate environments as well as home.